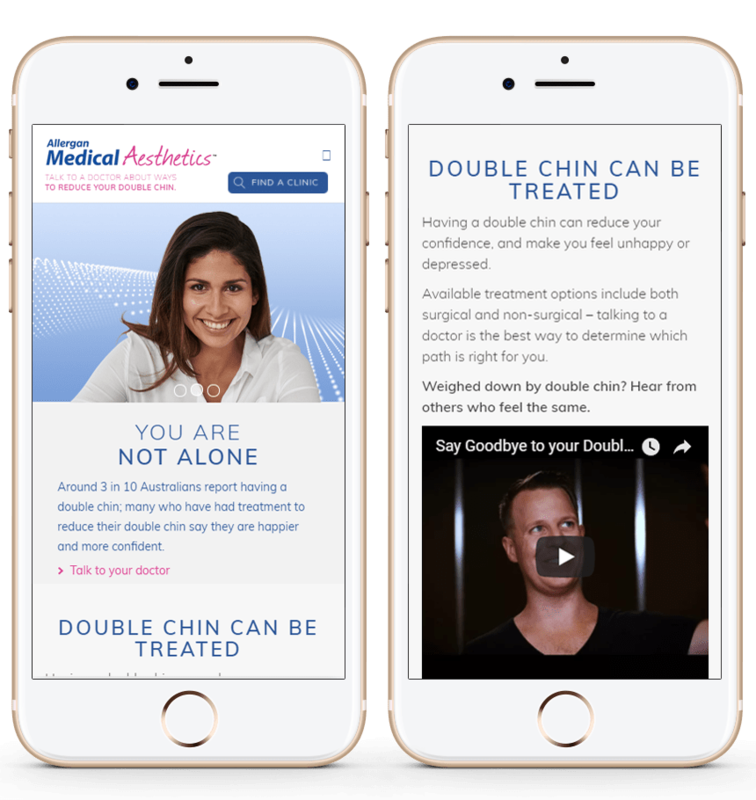 In partnership with Cube PR, we were engaged to assist them with the development of a new information based site for the treatment of double chins. 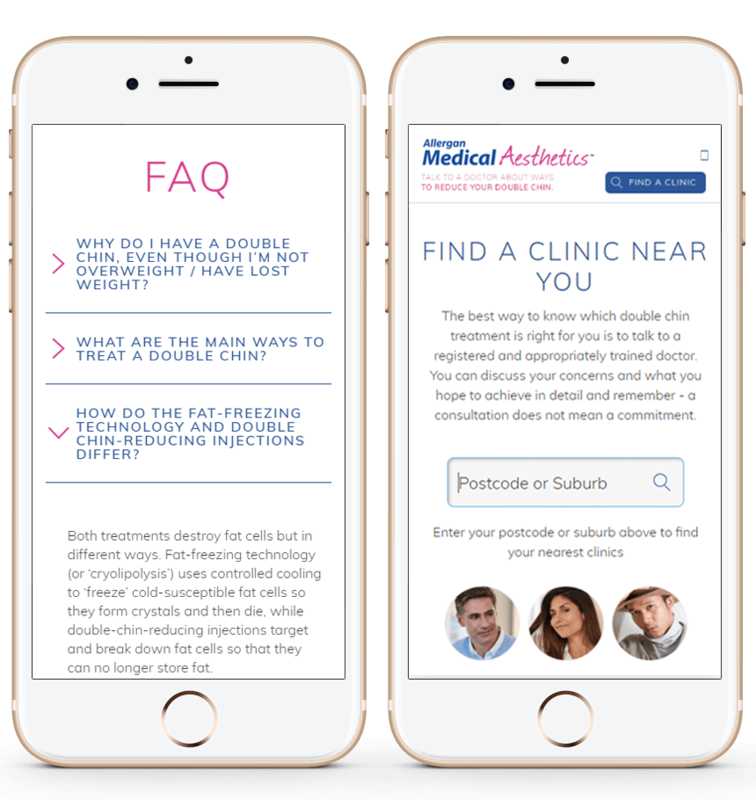 We had previously worked with Cube PR in the support and delivery of web solutions for this client, and so we were engaged for the full circle of services for this project, including Scoping (wireframes and functional specifications), Design and Development of this site. 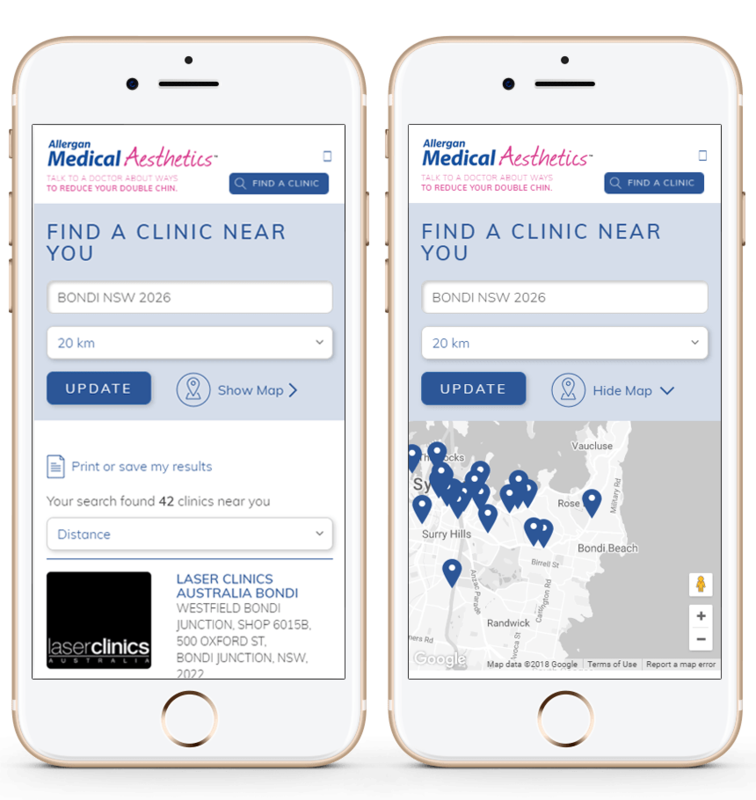 The end result was a very polished and refined website that not only provides useful information to visitors on methods of treatment, but also enables them to locate help through the clinic finder. 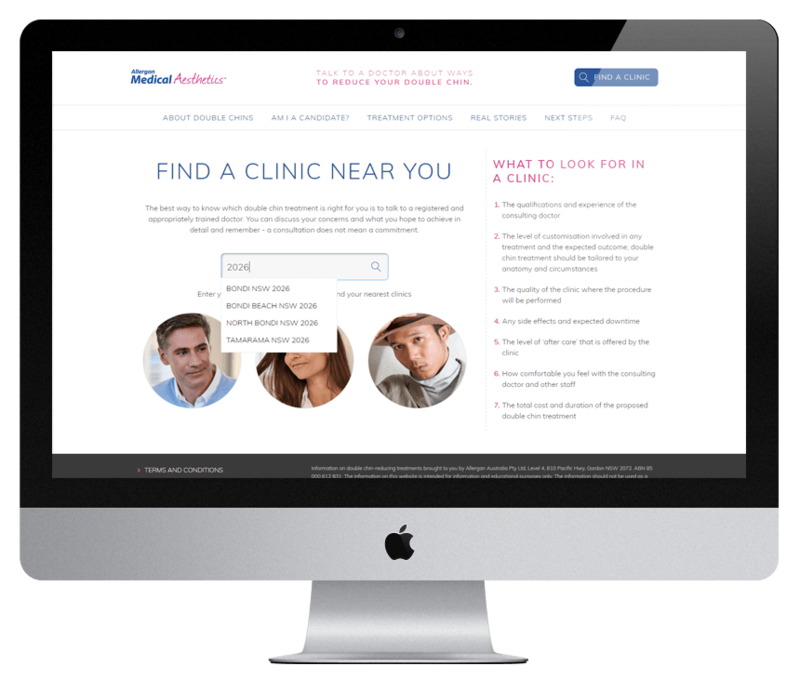 The clinic finder was just one of several great features of this site. 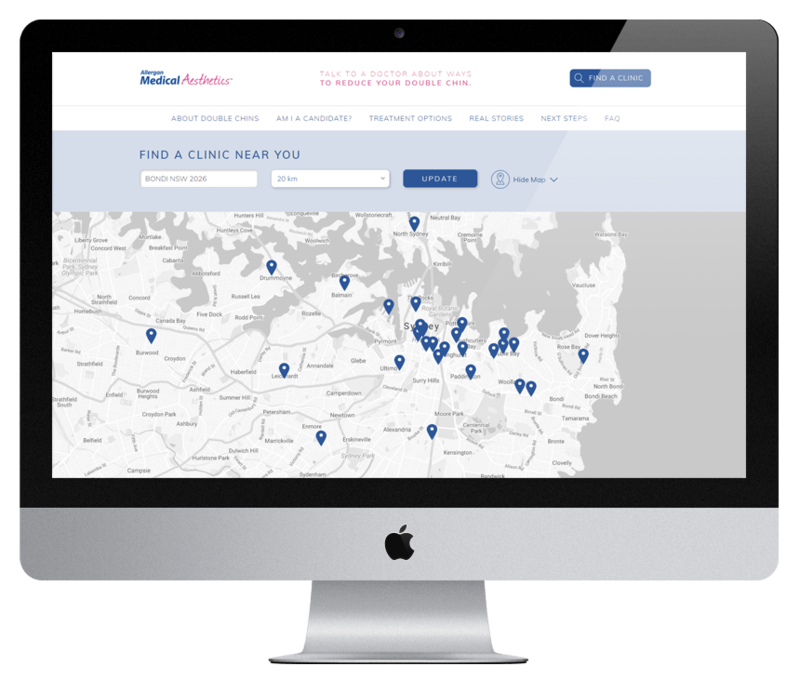 Another is the bespoke clinician portal where listed clinics can log in to update and manage their information. 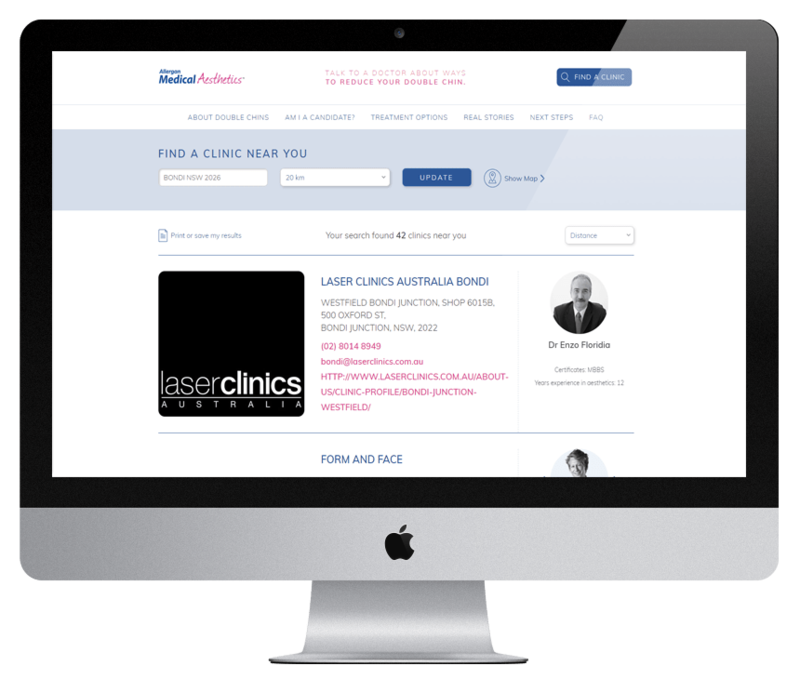 Other special features include a HTML to PDF converter for clinic search results, and a completely modular website page system that enables the site admin to create as many unique pages as they require using content blocks rather than reusing fixed page template layouts. The site itself was built on the robust Umbraco CMS platform, with the latest in front-end technology employed for the fully responsive site build.